Fischer Panda UK offers comprehensive Generator, Water-Maker, Air-Conditioning and Power Electronics technical services. All of our products are recognised market leaders with global representation - please refer to our Global Service Page section below for service points around the world. Our multi award winning technical team have over 85 years combined experience in all relevant engineering disciplines. Marine and automotive power generation, desalination and HVAC (heating, ventilation & air-conditioning) system design. The in-house technical support team are always on hand to assist, either personally, by telephone or email, all of our technicians are fully factory trained on all the products we represent. 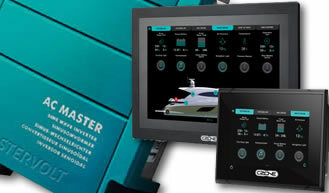 Design - Proven experience in designing integrated systems to create efficient, cost effective solutions for boats, vehicle and specialist projects. Supply - Fantastic stock levels of units, spares and service items results in quick and easy delivery. As Fischer Panda UK are the largest distributor for most of the brands we represent you are also assured of extremely competitive prices on all products. Install - Supporting you with your installation, whether this involves technical support to you or your engineer. Alternatively Fischer Panda's engineers can complete the installation which benefits from the extended 5 year warranty*, this ensures peace of mind that all components are installed 100% correctly by a fully-trained Fischer Panda engineer. Service - Based at our secure purpose built 9000 sq ft office/workshop on the south coast, we can offer a full in house repair and servicing facility. With high security fencing and internal / external 24 hour CCTV you can be confident that your vehicle is safe and secure. 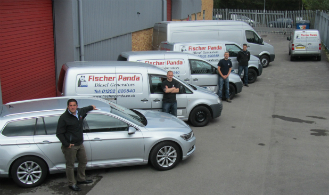 Alternatively our mobile engineers can come to your location in fully equipped Fischer Panda support vehicles. Support - Ongoing support and aftercare, we will support you with any technical questions or issues through email, phone call or site visits. Our aim is to ensure you are fully supported no matter where you are. Fischer Panda and all our brands are truly worldwide with their support and service. This is what makes us different from the rest! *5 year warranty extension available on leisure vessels only. All of the brands we work with are truly global with dealers and service agents throughout Europe, Asia, America and Africa. We are proud of the worldwide support we can offer, please see links below to locate your nearest contact point. Generators: Fischer Panda are represented in 72 countries, click here to find your local support. HRO Watermakers: Click here to find your local support. Sea Recovery Watermakers: Click here to find your local support. Dometic, Marine Air, Cruisair Air-Conditioning: Click here to find your local support. Mastervolt: Click here to find your local support.